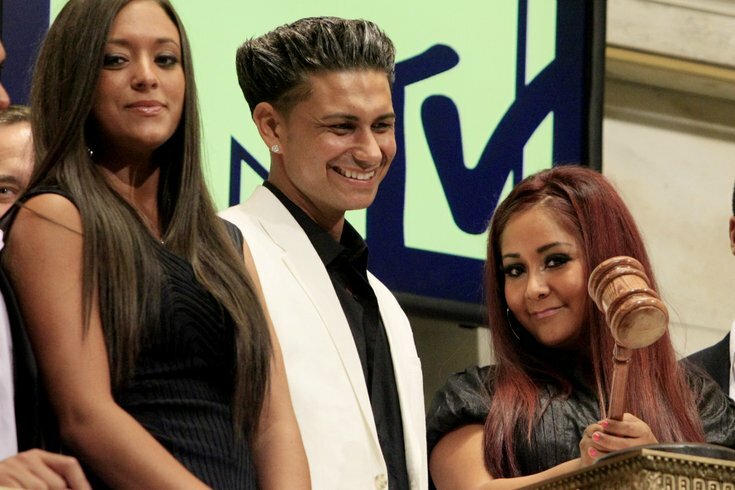 Cast members of MTV's "Jersey Shore" reality series, from left, Sammi Giancola, Pauly "DJ Pauly D" Delvecchio, and Nicole "Snooki" Polizzi. We may not be without "Jersey Shore" for much longer. Cast members of the hit MTV reality show have been seen filming what appears to be a reunion show in Point Pleasant Beach and Asbury Park in the past month, according to a report from the Asbury Park Press. The show's producer, Bright Road Productions of Los Angeles, applied for a permit with Asbury Park to film on the boardwalk and beach, city officials told APP. “Oh well, they’ve been reading the paper and they know Asbury Park is the place to be,” Asbury Park Mayor John Moor cracked in the report. "No, we did not know they were coming as they applied under ‘Roadtrip Reunion.’"
"They paid their fees and everything worked out fine." Details on a possible "Jersey Shore" reunion are scant, and an MTV spokesperson told APP that the recent filming was not a project for the network. "Jersey Shore" debuted on MTV in 2009 and had its share of fandom and haters while depicting life in Seaside Heights. The show ceased production about five years ago. An In Touch Weekly report last month deduced that a reunion of the show looked likely, and former cast members have been hinting at it in recent weeks on social media. But if they do reunite on TV, it probably won't be happening in Seaside Heights. The borough rejected a permit application for the cast to film there, Seaside Heights Administrator Christopher Vaz told APP. Mailbag: Have the Sixers already transformed into villains?